go on Facebook-- can you help me? A: This is a basic issue of trust within our family, and your privacy choices are to be respected. Here are our online Privacy Practices. With Facebook Photo Tags, this is a sensitive topic to many people. For a privacy guide to Facebook facial recognition, click here. Here's a few ways we can work together on photo-sharing. Please consider using our online form to convey your Photo Preferences. As a precaution, and to discourage republishing, you can apply a watermark to a copy of your photo files. Our team applies a watermark to family images we add to our web site(s). For more info, read Watermark Your Images blog post on forum.bigfamilynews.com. Before adding photos to a web album, read the service provider's Privacy Notice (Picasa here and Flickr here) to understand the circumstances that might trigger your images being re-shared. If the images are not on a family web site, please contact the owner(s) of the site where the images are displayed. We've asked for feedback about other social networks (Facebook here, here, and here and a group of genealogy sites here and there). A: Yes, several times. Most recently we opened Facebook Redux discussion (also here) and asked relatives to take our Social Networks Survey. On April 26, 2011, we began exploring how to interface our public web sites with Facebook and Twitter. At this writing four months later, not a single relative has endorsed using Facebook for news about our extended family. See the objections below. We do connect with family using other social media, but our web team does not use social networks to share your private family news or personal contact data. We urge all relatives to Be Safe online. Some relatives post information about themselves on social networking sites, and we hope they will also participate in our family web sites. As of December 3, 2010, we are collecting Facebook and Twitter account information in our private address book. Also, several of us are in the limited field trial of Google's new social networking service (read more) that started in June, 2011. We're monitoring and posting news about Google+ developments (example). using social media for our family news? Many relatives are concerned about personal privacy and maintaining online security. Photo tagging and facial recognition technology falls in this category. Our family's computer and web site professionals assure us it is easier to control access to content on private web sites than the social networking sites. One of our key objectives is providing online access to our family calendar and address book. It's never a smart idea to post one's birthday, home address, or phone number on a social networking site, so we developed appropriate alternatives. 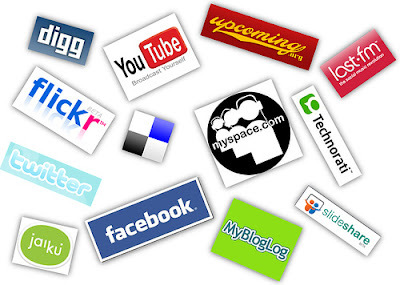 Some parents of minors do not want their children using social media. (For a copy of the FTC's Social Networking Sites: A Parent's Guide, download here). We are a creative bunch, and do not want to surrender ownership of our content and images. 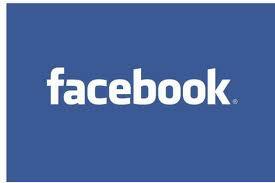 A: We post about Facebook as a service because many relatives use it, and others question us about it. Twitter to our public web sites? A: Yes, with support (read more). Didn't find your question here? You might check our Library of FAQ (Who-What-When-Where-Why? format) and/or search entire blog archives for posts tagged SocialMedia. For assistance or suggestions, here's our Contact Form. FAQ Social Media updated 9/18/2011 for photo-sharing question and roll-out of bigfamilynews.com. FAQ about our Social Media updated 10/26/2011 with answer to why we post about Facebook.